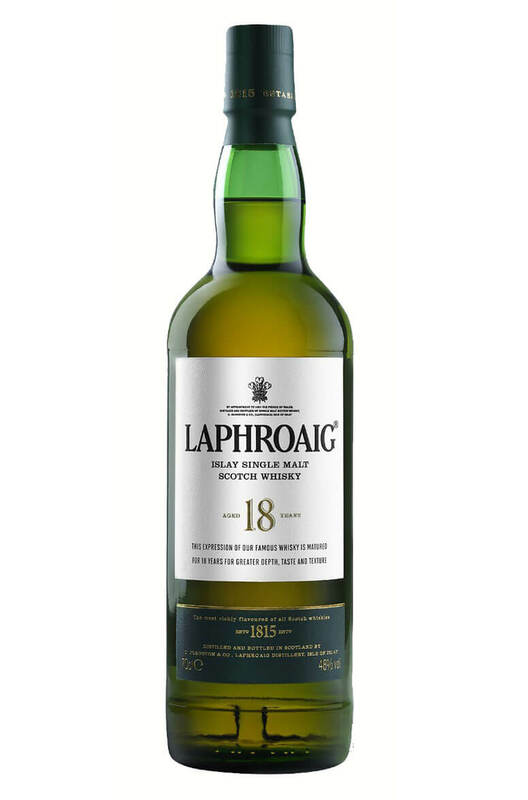 A big and bold expression of Laphroaig that manages to be both intensely smoky but also well rounded with a sweet, oakiness. Taste BODY: An intense depth that is exceptionally balanced and warming. PALATE: An instant warming tang of smoke fades into smooth floral scents, which blends seamlessly into an oaky nuttiness and leaves a lasting sweetness on the taste. With a touch of water, the peaty warmth fills the mouth but does not overshadow the sweet chocolate smoothness. This is balanced by the rich toffee taste and slowly fades into a delicate hint of heather and peat smoke. FINISH: Full bodied, long with a luxurious oily smoothness. Nose At bottling strength, a soft toffee sweet but faintly spicy flavour counterbalances the trace of delicate phenols and fruit. An all encompassing smoothness brings these together. A touch of water allows the seaweed and salt to come through but not enough to overpower the vanilla and honey sweetness with just a trace of new mown hay and peat at the finish. A limited edition release from Laphroaig, this was released in 2011 and is bottled at natural c..
A hard to find Laphroaig release that has been exclusively aged in first fill American oak barrels a.. Assembled from the richest and fullect flavoured casks available at Laphroaig Distillery. This conta..